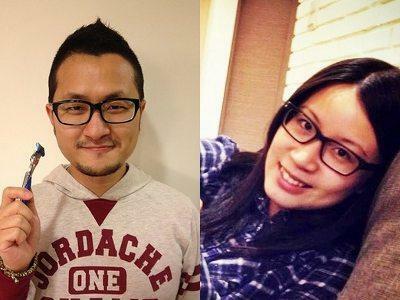 6 May - Taiwanese filmmaker Giddens Ko recently revealed that he and his girlfriend of nine years, Xiao Nei, have broken up. As reported on ET Today, the director revealed the news at a university lecture that he attended alongside Taiwanese actor Kai Ko on 4 May, after a student asked him about his current relationship status. "We have broken up for a while. It's quite a difficult period for me right now," he said. Giddens stated that the news was not known to many because he has been concentrating on writing his new film, and rarely interacts with the media and the outside world. However, the film director didn't explain the reason of the breakup, though many speculated that it had something to do with his infidelity. Last year in October, Giddens made headlines when he was caught checking into a motel with reporter Zhou Tingyu. He later admitted to the affair and apologised to his then girlfriend, saying that though he likes Zhou, when it comes to his future, he would like to spend it with Xiao Nei.